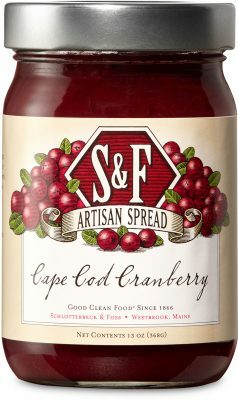 Our tart and sweet cranberry sauce is made from whole cranberries. A perfect complement for turkey at the Thanksgiving table or spread onto leftover turkey sandwiches. Blend with mustard to make a sauce for pork or use as a glaze for ham.